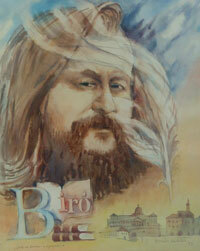 Biró Family Printers and Publishers ! The Family Biró, Printers and Publishers undertakes to do all types of printing work as well as photocopying and all work connected with printing and paper. We accept, at short notice, the gathering, stitching, binding of all printing material (books, publications, gazettes and blocks, etc) both in soft- and hardback binding. The Biró Family Printing Office and Publishing Company pays great attention to seeing that only quality products are dispatched from our production centre. We make it a point strictly to adhere to the given time limit and price of whatever nature the work may be. Our firm adjusts itself to the modern requirements and demands now that we are producing more and more coloured products in our press. As a result of our excellent publishing work, so far more than one hundred and fifty books have left our press. These include works of eminent artistic value that were exhibited in representative book fairs. We offer the following types in our book binding service: individual printed products, book binding and stitched binding. We produce hard back and soft back books that we can deliver at short notice. Please examine our references and our products on our Home Page. The initial foundation stone of our firm was the Arts Gallery that until this very day still makes its influence felt, since we avail ourselves of its activities in the course of our everyday work. Good work can only be achieved when the publisher as well as his employees are involved professionally and financially in the quick and efficient work of the firm. For this reason also the owner takes an active part in the production. Administrative work is only done by the accountant and the assistant manager. The family atmosphere is guaranteed by the fact that most of the members of the Biró Family are actively involved (Endre Biró, Mrs Endre Biró (Éva) and Krisztián Biró. Also our employees are treated as true members of our own family.The favourable atmosphere in our place of work inspires good work at all times. More and more customers approach us because we acquired an excellent reputation. We hardly ever spend money on advertising. Our good name has spread among our customers the numbers of which are increasing from day to day. Our motto is "For Art - for Artists" to which we have always adhered, and it is for that reason, perhaps, that we have decided to include the profession of publishing among our other activities. We first entered the market by publishing anthologies. Our originality and individuality consisted of our production of coloured pictures to go with books of poetry and prose. It was in that manner that we wished to promote the Artists. That is to say, that these illustrations should figure not only on invitations or brochures that maybe readily discarded, but they should be preserved in book forms which - obviously have a longer span of life that the former. After the anthologies we specialized in the printing and publishing the work of individual authors - novels, poems and short stories. At all times, we endeavoured to live up to our good reputation and, to that effect we arrange once or twice a year exhibitions of paintings combined with books. Many important personalities took active parts in these programmes (Kamilla Dévai Nagy, performing artist, György Banffy, actor, Sándor Németh opera singer, Zoltán Sellei, performing artist.. These personalities enhanced our programmes while also making them more interesting. We arranged some of our exhibitions in the Hotel Gellért rather than in our printing office, thus ensuring quality and a high standard. Our programmes are published in the daily newspapers for the information of their readers, and several weekly magazines report on them. The Biró Family Printers and Publishers, after more than ten years of operation, has developed into a fairly well-known printing company. We do no have any false illusions. We have no intentions of becoming a monstrously large firm, nor even larger than we are at present. We wish to preserve the family atmosphere so that we are in a position to do work for customers who require only small quantities. This we are able to achieve by maintaining the working- and social attitudes which ave characterized our activities so far. At all times it is market demand which defines the nature of our products and our field of work. On the other hand, we attach special importance to keeping deadlines which we respect at all cost, whatever the task in hand. Naturally we also accept the publication of individual books. Among these figure often books of great artistic value which can be launched in representative sites. As a good example, let me mention Dr Judith Kóos's arts book entitled "Protestant Churches in Budapest", or similarly, "The Finnish Jewels", also a book on the fine arts. Both works were exhibited by the Danubia Television and at the Finnish Embassy with great success. They received recognition both from the point of view of content and execution. We will endeavour also in the future to produce handsome books with valuable reading material. Linked to us in Ujpest is also the two volume work on Count István Károlyi, though it was not published by us but for which we did the printing work. Our printing office also undertakes to do an ever-growing number of printed pictures. At all times we adjust ourselves to the equirements of our modern age. Please examine our references and products on the Hungarian web site.